Lynnie has been a registered and certified member of TCNZ since 1993. She has coached on the Gold Coast Australia for 7 years including head coach at Sanctuary Cove, and the Golden Door Health Retreat, as well as coached in Canterbury and Manawatu Region in NZ. She also played to a National Level including holding a National Junior title, and a top 10 ranked junior, and continues to represent Nelson. Lynnie moved to Nelson in 2007 and was the Nelson Bays Tennis Association ‘Tennis Development Officer’ for 6 1/2 years. Lynnie is Head Coach at the "Nelson Institute of Tennis", operating out of Stoke Tennis Club. 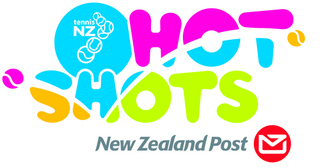 She is also a coach educator/assessor for Tennis NZ, a TNZUA Tournament Referee, a Tennis Hot Shots Tournament provider, and Tennis Hot Shots facilitator and Schools Teacher Trainer. Lynnie has a passion for the game and loves seeing people enjoy the sport regardless of age or ability, and enjoys offering her coaching expertise to the Nelson Region.